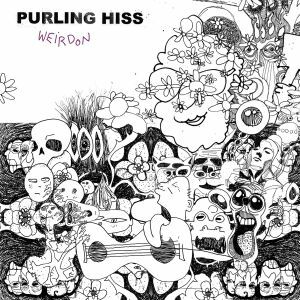 PURLING HISS release Weirdon, their second album for Drag City since 2013’s Water on Mars. They’re about to head out on a full US tour that runs until the end of November. Their new album is flowing with roaring, soaring psych guitars, provided by the mind of shred-master Mike Polizze. The eleven new tracks on Weirdon are unlike anything else from the prolific PH discography, and with only trace amounts of Water on Mars evident the album is a logical step forward. Songs range in shape and length, resulting in a batch of psych-pop that is clean, warped and fuzzy when it has to be. “Another Silvermoon” opens with nasally acoustics and wonky guitar licks, leading toward an immense jam that begins with a subtle brass section. “Reptili-A-Genda” is strung-out and sweltering, another with wobbly acoustics that stumbles around Polizze’s honest lyrics – “I am trying to escape my mind” he admits. “Where’s Sweetboy” sparks up the energy with a fist-in-air punk spirit, driven by snarling guitars and a howling chorus that comes complete with hand-claps. “Six Ways to Sunday” is woven with a beam of sweeping melodic guitar, closing out the LP with a monumental solo that scrawls and scowls until the last possible moment. Weirdon clearly see’s the band in a new light – what they decide to do next is completely up in the air. 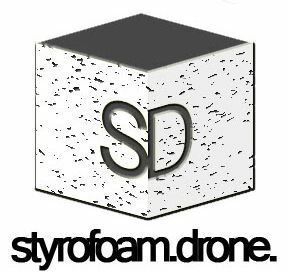 Posted on October 15, 2014 October 15, 2014 by styrofoamdronePosted in LP, Reviews, Still Spinnin'Tagged Drag City, LP, pop, psychedelic, punk, Purling Hiss, Weirdon.